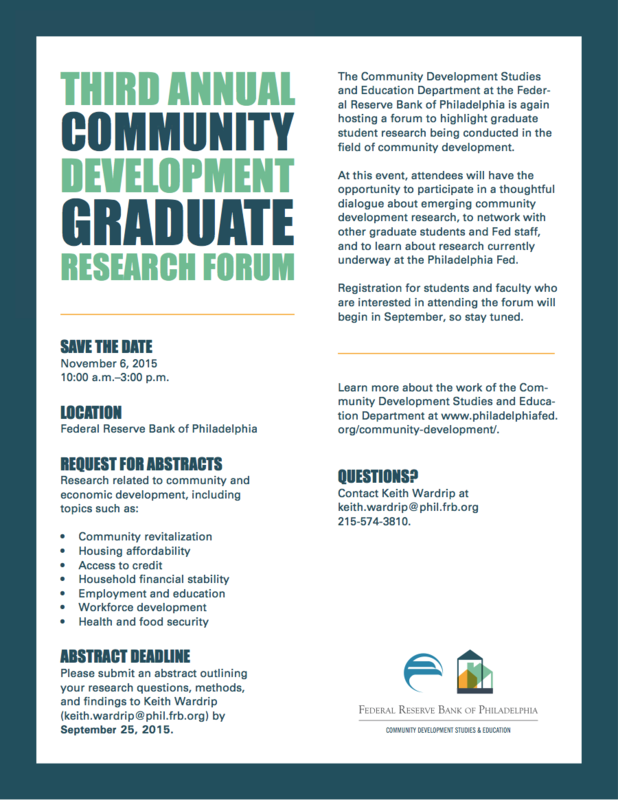 Home » News » Grad research forum at Phila Fed – Deadline to submit abstracts: Sept 25! Grad research forum at Phila Fed – Deadline to submit abstracts: Sept 25! Posted September 17, 2015, in News. Page last updated by CURE at 10:44 am September 17, 2015 . This page was printed from http://cure.camden.rutgers.edu/2015/09/17/grad-research-forum-at-phila-fed-deadline-to-submit-abstracts-sept-25/ at 8:28 AM Saturday, April 20, 2019.